Many people in Effingham County know the name Ruth Rhodes because of her years of dedicated employment to the law enforcement community. Yet, some may not be aware of just how much time, effort and support Rhodes provides to Special Olympics Illinois athletes. 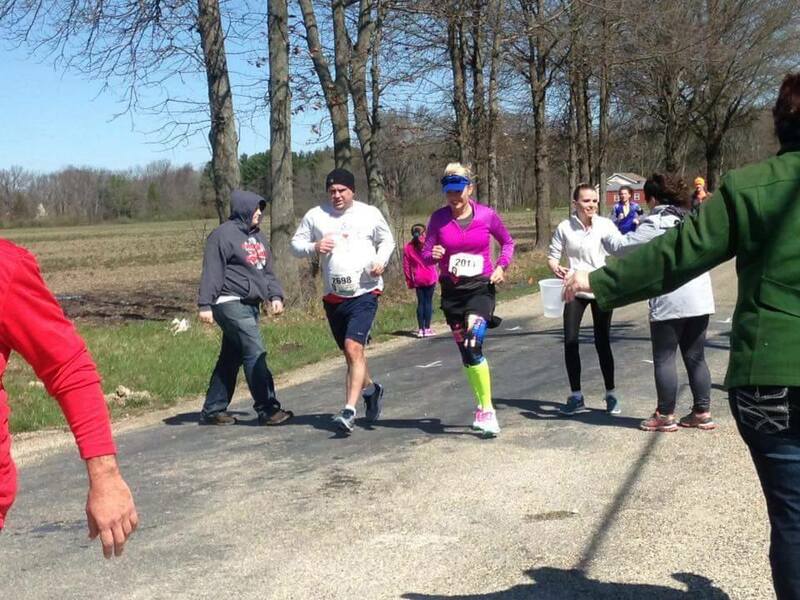 Rhodes, a civilian employee for the Illinois State Police until 2013 and currently on staff at Illinois Department of Transportation, was one of the founders of the Lake Sara Dam Run and is currently coordinator of the event. She worked tirelessly to ensure the Lake Sara Dam Run’s success. Despite tremendous winds on Saturday, April 2, more than 700 runners and walkers from around central and southern Illinois gathered at the Lake Sara Dam to run or walk in either the 8-mile run, 5K run, or 5K walk at the 18th Annual Lake Sara Dam Run. 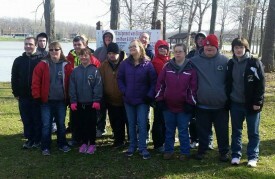 Several Special Olympics Illinois East Central/Area 9 athletes, including Kraig Dahnke and Jay Borries of the Effingham County Lightning team, walked or ran in the race, along with local law enforcement officers, fans of Special Olympics, school groups, and many others. Amidst the multitude of tasks that a coordinator must complete for an event of this size, Rhodes exhibited quality leadership, volunteer coordination, and fundraising skills. In addition to recruiting volunteer support from the Illinois State Police and other community volunteers, Rhodes also invited teams from SOILL Area 9 to award the medals to the runners at the finish line and help keep the runners on the course refreshed and excited. 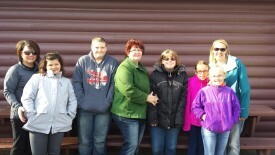 The Effingham County Lightning team, led by Diana Ludwig, and the Neoga/Sigel Indians Special Olympics team, led by Amanda Osborne, were present and enjoyed cheering on the runners, providing waters to participants on the course, and donning the medals to the finishers. As a treat to the runners following the race, Rhodes not only coordinated a lunch but also gathered the support of St. Anthony’s Hospital staff for much-needed massages. For these reasons and so much more, Ruth Rhodes truly makes the Lake Sara Dam Run the BEST little Dam Run in Illinois. To honor Rhodes’ years of service in fundraising for the athletes of Area 9, she will be awarded with the first Area 9 Law Enforcement Fundraiser of the Year award at the Opening Ceremony of the 2016 Area 9 Spring Games on Friday, April 22, at Eastern Illinois University’s O’Brien Stadium. The Opening Ceremony starts at 9 a.m. and fans of Special Olympics Illinois are welcome to fill the stands to recognize Ruth Rhodes for her achievements and support the Area 9 athletes as they compete in the annual athletics meet. Congratulations to Rhodes on her success at this year’s Lake Sara Dam Run to benefit Special Olympics Illinois and thanks for her amazing volunteerism that is now the ideal for all other Law Enforcement Torch Run fundraisers to come.